I missed the first day of Songkran, had to work in Malaysia. 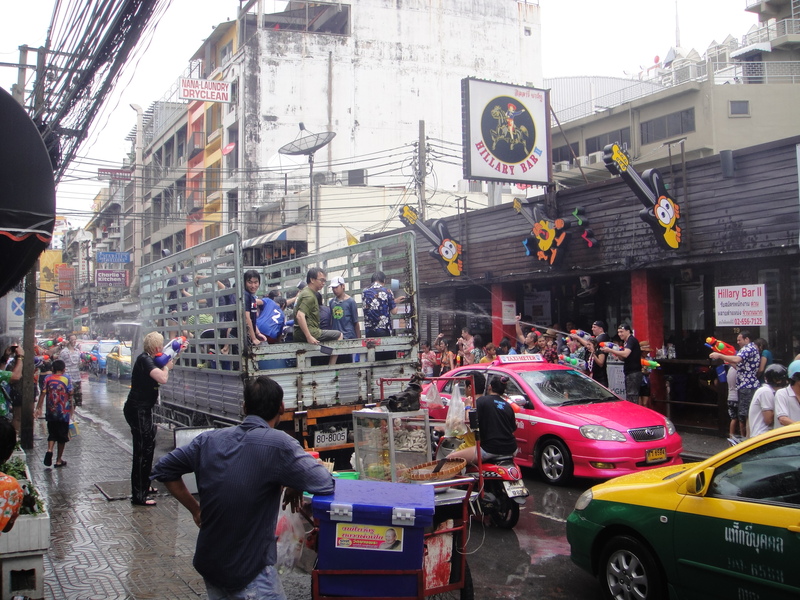 Day 2 was very fun, Bangkok seemed to be one giant water “fight”. Water "fights" with passing cars and a truck loaded with water "fighters"
Most Thais say “play with water” and that is more correct than the term fight- the splashing of water on one another is generally done via squirt gun, hence the “fight”. But, there is no fight, it is all very happy, very wet and very fun. It is hard to describe, the street in the above photo is wet from the water fights, not rain. You walk down a street, people in the back of cars will splash you with water, bars are packed with squirt gun wielding patrons. The small streets can be one massive water fight. And this isn’t for kids, this is all adults having a great time. And it isn’t all foreigners- not at all; it is mostly Thai’s having a great, great time. Off to enjoy Day 3, the last day of the water fights. 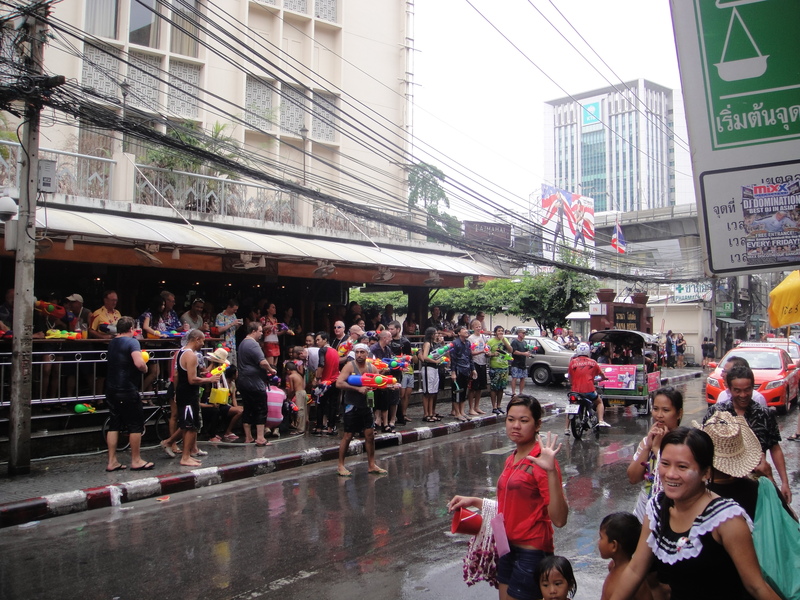 This entry was posted in Bangkok, Culture, Thailand and tagged Songkran. Bookmark the permalink. Brilliant, looks like great fun.